Can I adapt the margins in my documents? Yes, you can customize the margins in your documents. If you're using your own letterhead paper for your documents (invoices, quotes, etc. ), you may need to adapt the margins to make sure the text doesn't mess with your layout. To adapt the margins, you have to go to Settings > Document templates and click on 'Click here to configure advanced options for your documents'. You then simply have to customize your margins and click on Save. 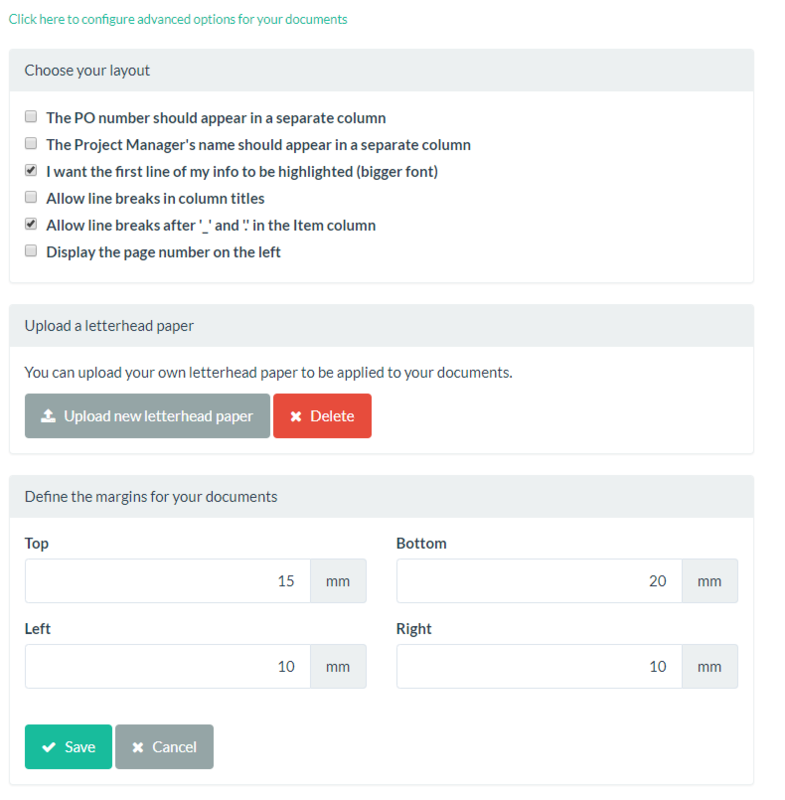 The next documents you will create will show the customized margins.